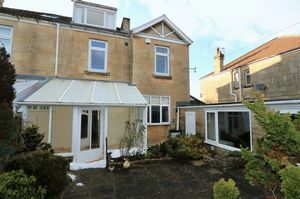 An extended five bedroom semi-detached family home in Combe Down village. 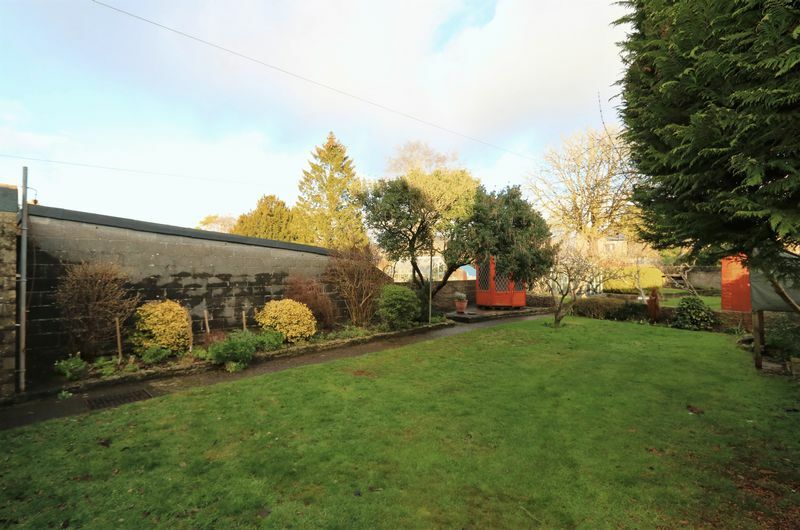 Built in the 1920's it now requires refurbishment throughout and comes with no onward chain. A spacious 2,200 Sq.Ft of accommodation and ideal location for local schooling, amenities and bus routes to the city. 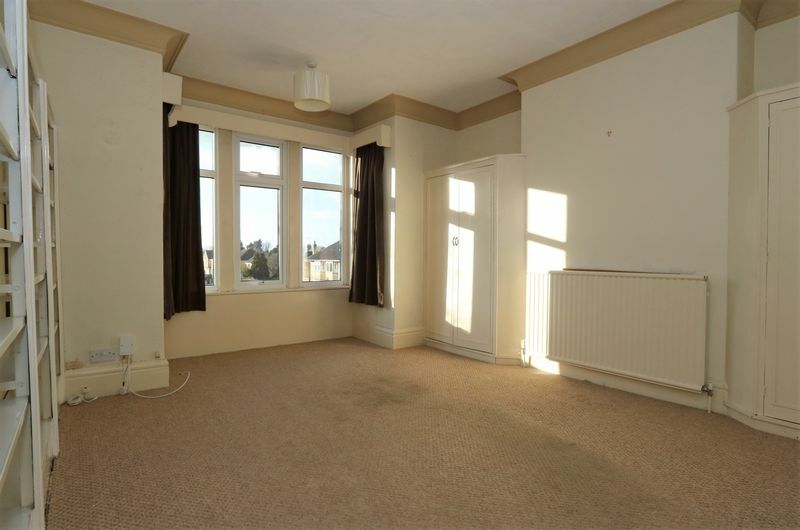 A spacious five bedroom family home with accommodation laid out over three storeys. Ideally located in Combe Down village for all local amenities, schooling and bus service to the city. 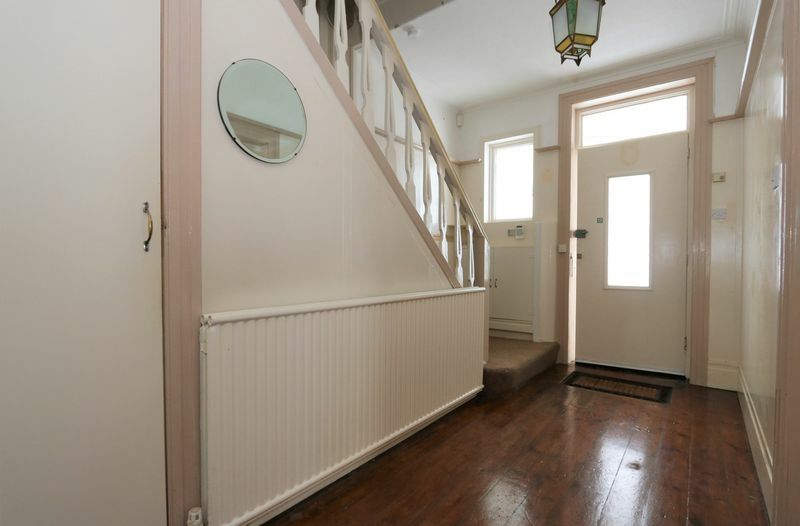 You enter this property via the entrance porch which leads you to the hallway where you have access to the sitting room, dining room, kitchen and stairs to the first floor. 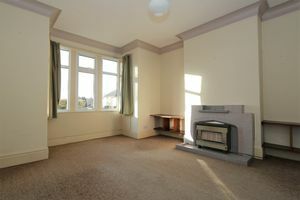 The sitting room is a light room with stone mullion bay window to the front aspect and original feature gas fireplace. An archway leads through to the breakfast room and on to the kitchen at the rear aspect. 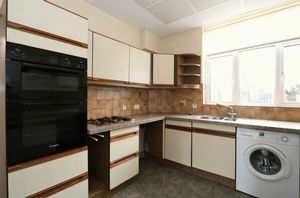 The kitchen is fitted with dated floor and wall units with integrated double oven and 4-ring gas hob. You will find space for fridge, freezer and washing machine and a door provides access to the garage/workshop. 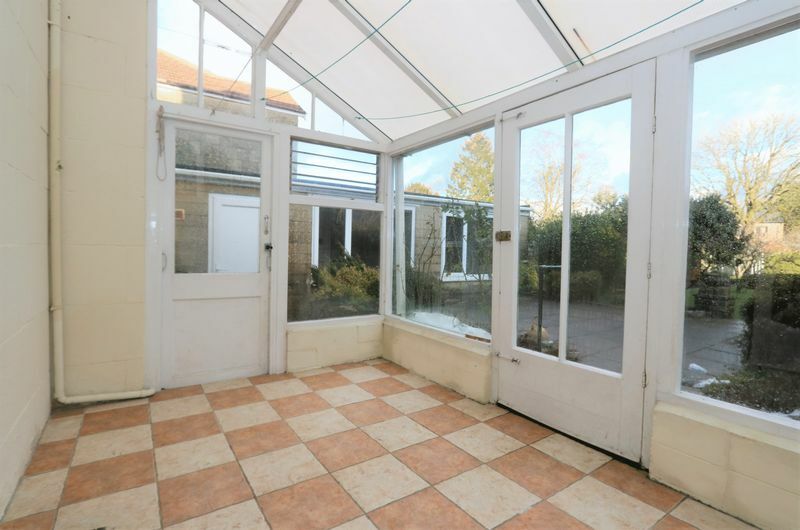 The dining room is a great size for family dining with double wooden doors leading to the conservatory. Stairs lead to the first floor landing which provides access to three good size double bedrooms, a single bedroom and family bathroom with separate WC. Bedroom one also benefits from a useful ensuite shower room. 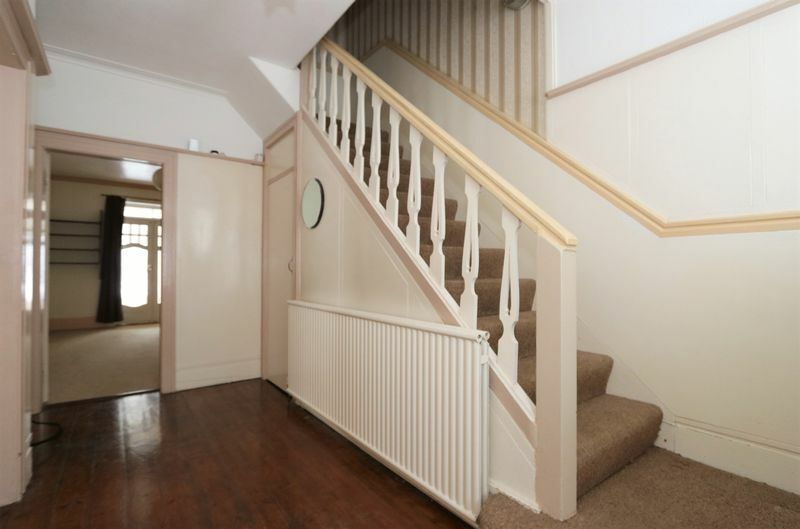 Further open-tread wooden staircase winds up to the converted loft. 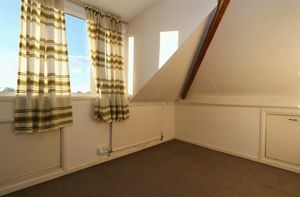 The loft currently provides three rooms each with a dormer window. 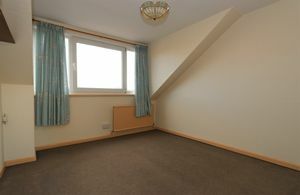 One room could be used as a double bedroom with the other two more suited to study space. The room to the north aspect provides glorious far reaching views towards Beckford’s Tower on Lansdown and Kelston Roundhill in Weston. This would make a great feature if the loft was reconfigured as a master bedroom suite. 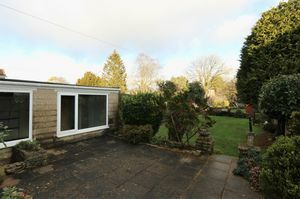 Externally the rear garden is laid to lawn with well stocked beds, small trees, patio seating area and three wooden sheds. 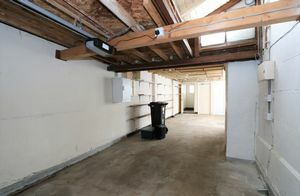 Steps to the side of the garage lead down to a useful cellar store room beneath the patio. 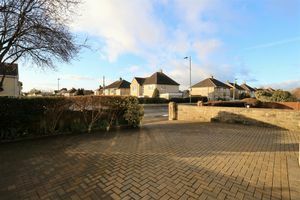 To the front a paver driveway provides parking for three vehicles and access to the garage. This property really would benefit from refurbishment and reinstatement of period features and fireplaces throughout. 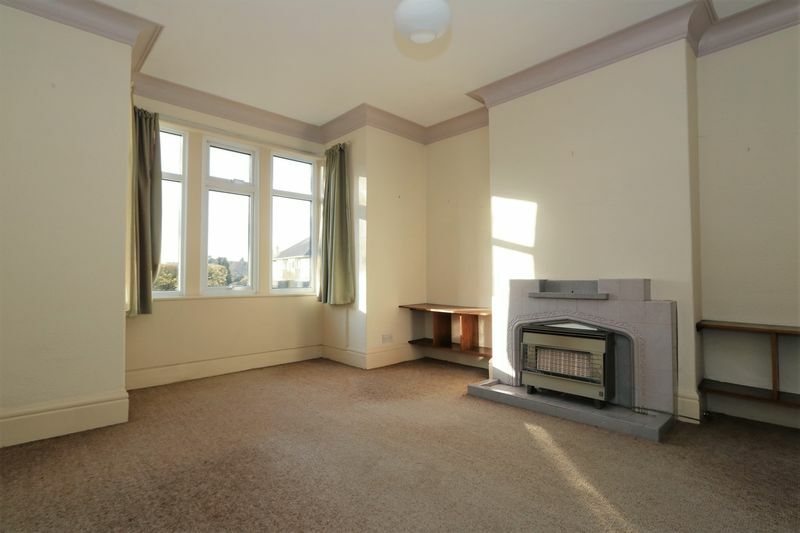 We have sold similar refurbished properties in the street and the finish can be beautiful. 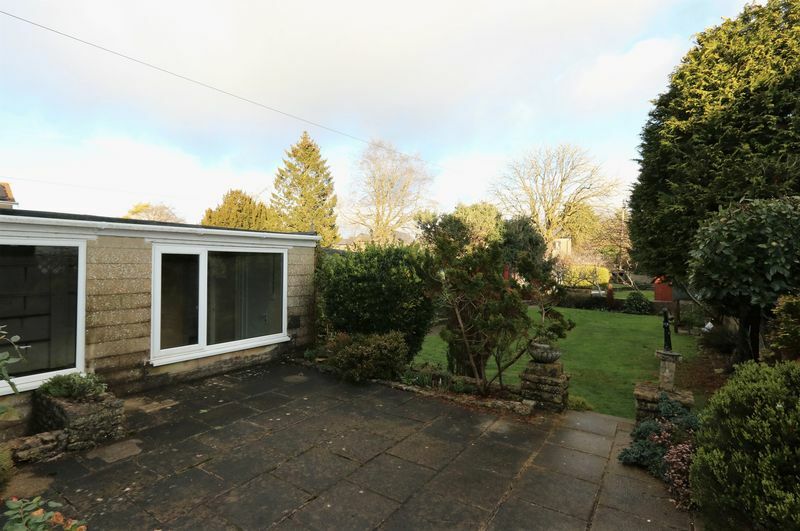 It could also further benefit from a single storey extension to the rear to provide a more modern open plan kitchen dining living space with bi-folding doors onto the delightful garden. This could also perhaps join up with the current workshop too. 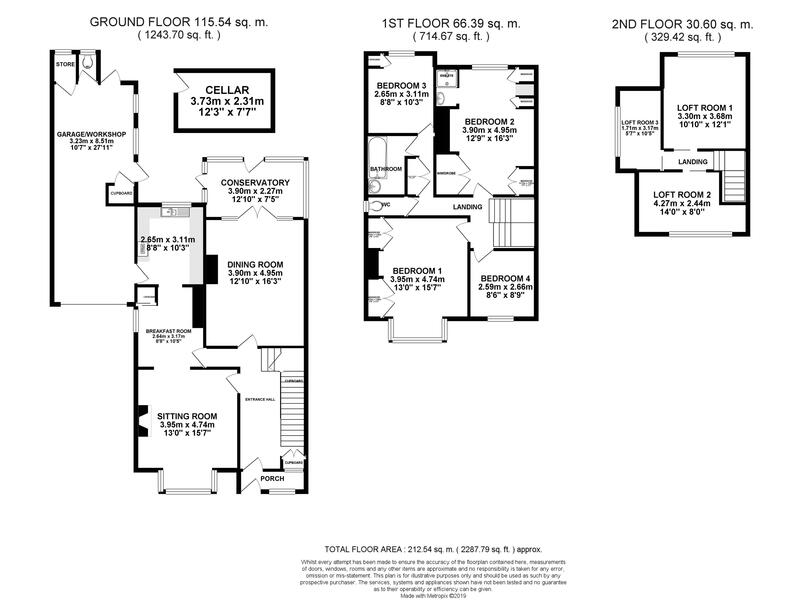 The loft room and staircase could also be reconfigured to create a grand master bedroom with ensuite bathroom. 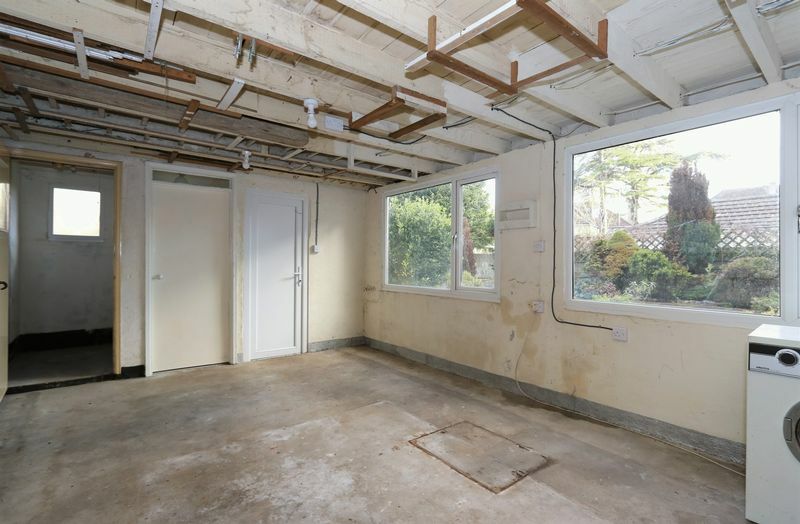 Lots of potential here in what is a very spacious family home. This property is located on the southern slopes of the city of Bath in the highly desired village of Combe Down. 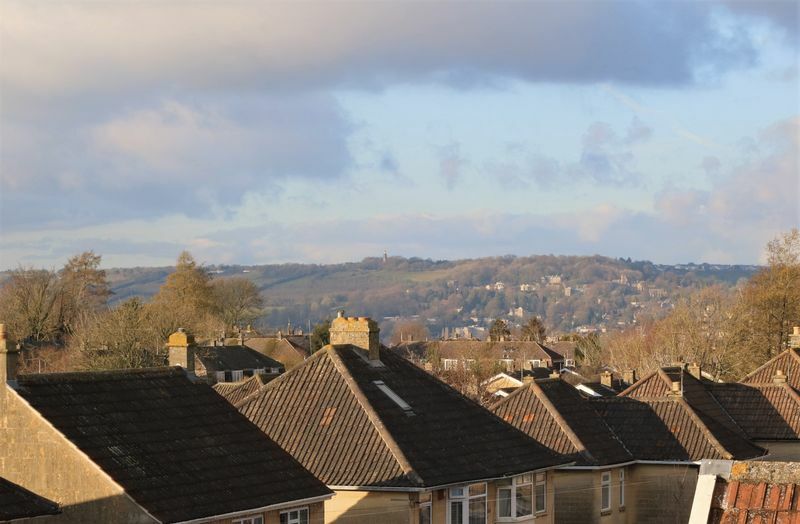 Combe Down's rewarding valley top position provides stunning panoramic views of the city to the north with equally gratifying views of the Cotswold valleys to the south. 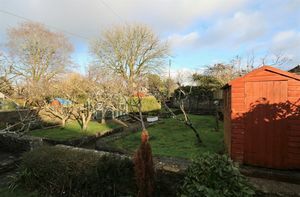 The surrounding area cultivates ancient woodland which is the home of unique and local flora and fauna. The village itself has a very high sense of community spirit and self sufficiency. 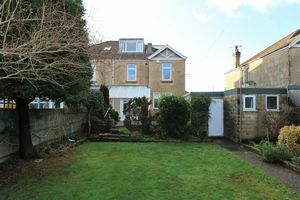 With local amenities providing every level of schooling and childcare, dentists, pharmacies and 'outstanding' surgery. 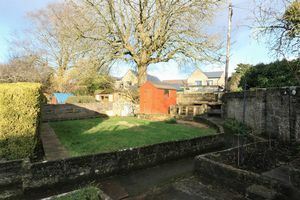 Within the village there is also a car garage, award winning delicatessen, hair salon, beauty therapist, bakery, post office and Co-op mini-market. Locally a Tesco Express with petrol station and a large Sainsburys supermarket can also be found. 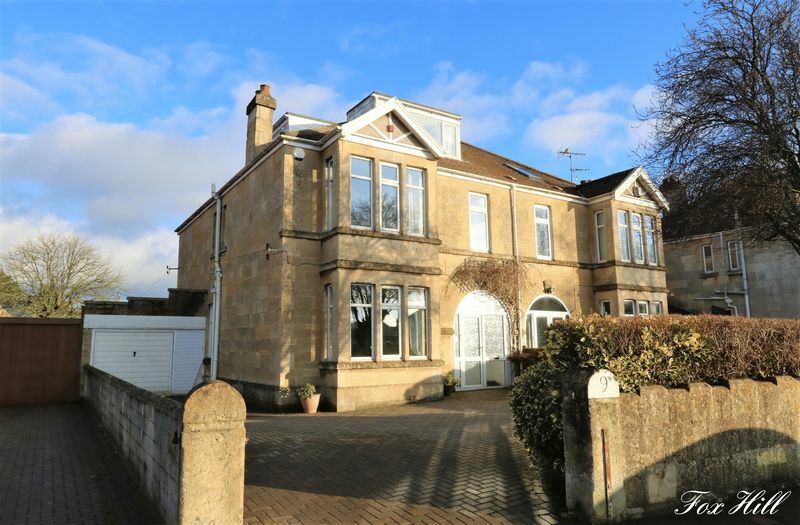 Every level of schooling can be found in the local vicinity with three nurseries, Academy primary school, Ralph Allen senior school and three independent schools in Prior Park, Monkton Combe and Paragon. 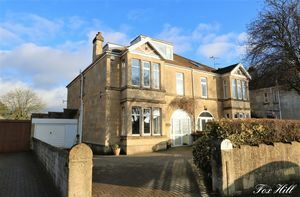 Nearby you will also find the excellent country club Combe Grove Manor, which provides fine dining, gymnasium, swimming facilities, golf range and tennis courts. The local bus service is in close proximity providing half hourly services into the city. 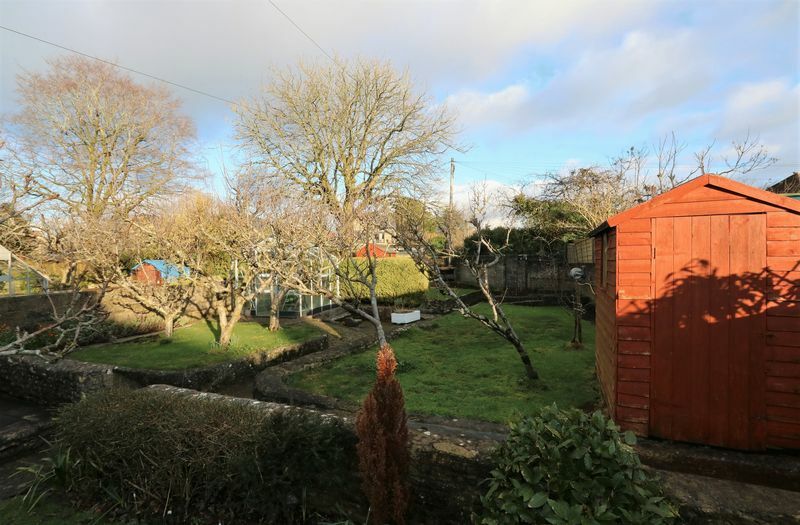 For the walkers among you Bath Spa station is a shade over 1.5 mile from the property and you are also afforded a plethora of countryside walks into an 'area of outstanding natural beauty' minutes from the village itself. Double glazed uPVC door leads into the porch with original geometric mosaic tiled flooring and door to the hallway. Solid wooden flooring throughout. 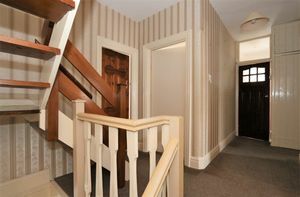 Large understairs cupboard with consumer unit, gas meter and security alarm box. Wall mounted radiator, thermostat and security alarm console. 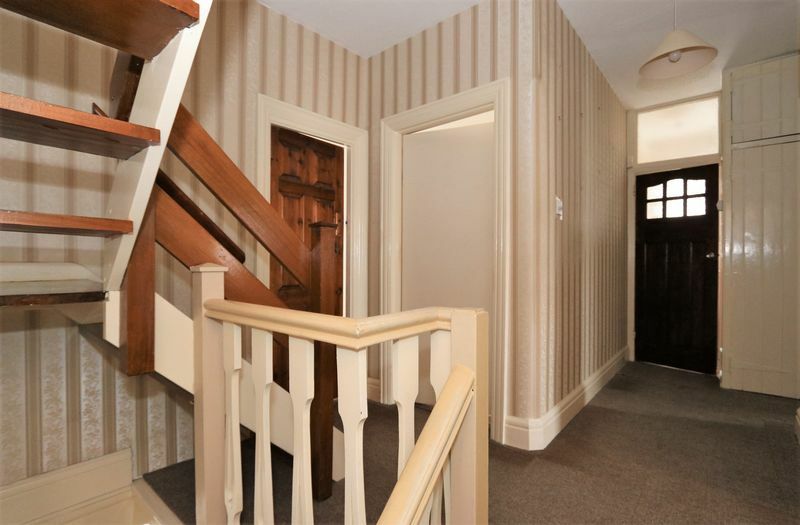 Access to the sitting room, dining room, breakfast room and stairs to the first floor. Carpeted. Stone mullion bay window to front aspect with uPVC double glazed windows. 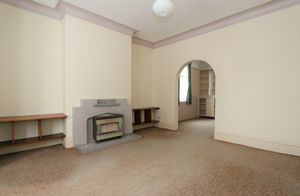 Original feature fireplace with tiled hearth and surround with gas fire. Decorative cornice. Shelves to alcoves. Wall mounted radiator. 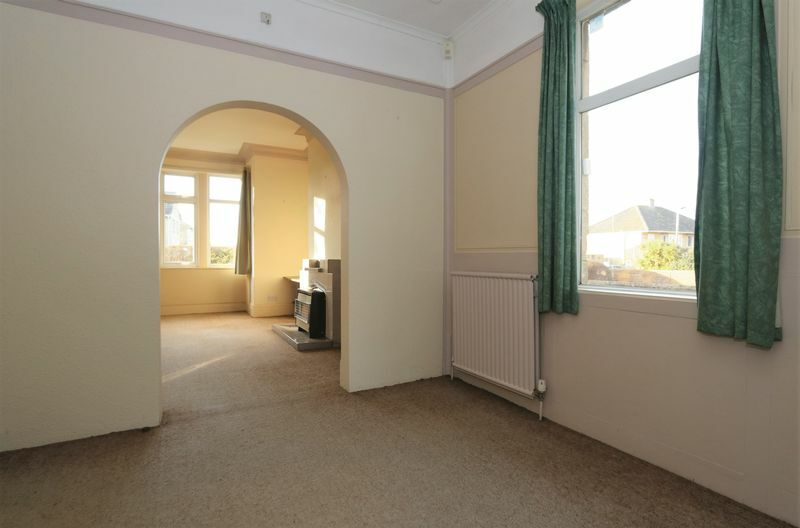 Open archway access to breakfast room. Carpeted. Double glazed uPVC window to side aspect. Bespoke wooden cupboard with glazed sliding doors. Wall mounted radiator. 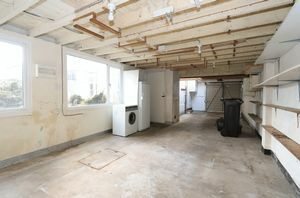 Access to kitchen and hallway. 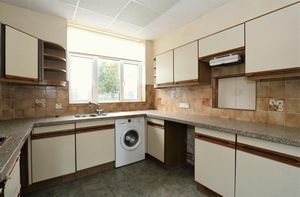 Wall and floor units with laminate worktop, inset sink drainer with mixer tap, integrated 4-ring gas hob, integrated double oven. Space and plumbing for washing machine, fridge and freezer. Tiled walls and floor. Serving hatch to dining room. Double glazed uPVC window to rear aspect. Double glazed door to garage. Carpeted. 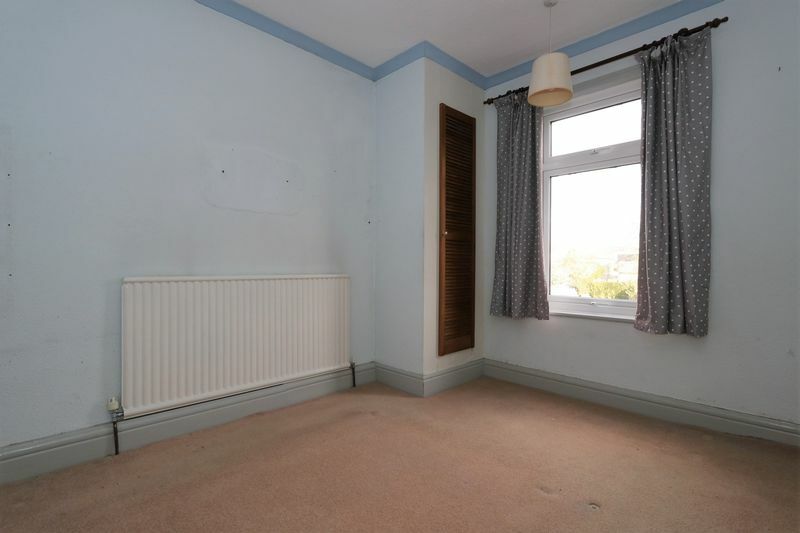 Wall mounted radiator. Shelves to rear window. Wooden double doors to conservatory. Serving hatch to kitchen. Wooden frame construction on low stone wall with single glazed windows. Double glazed uPVC framed roof windows.Tiled flooring. 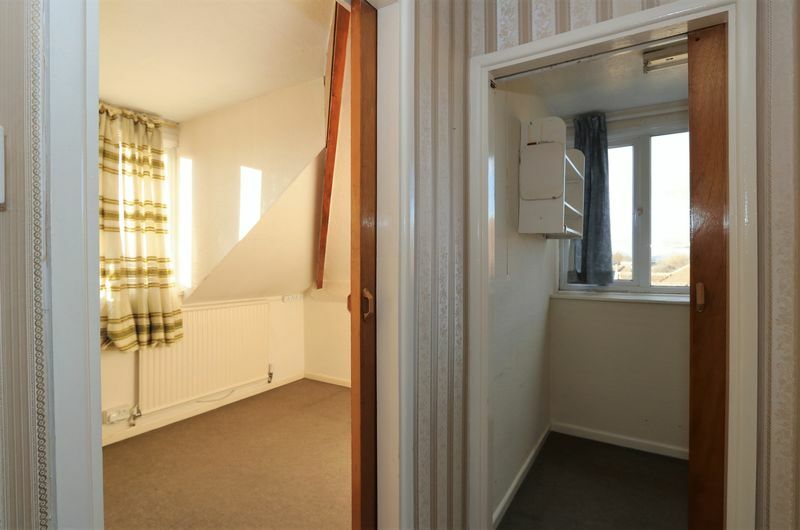 Two doors to rear garden. 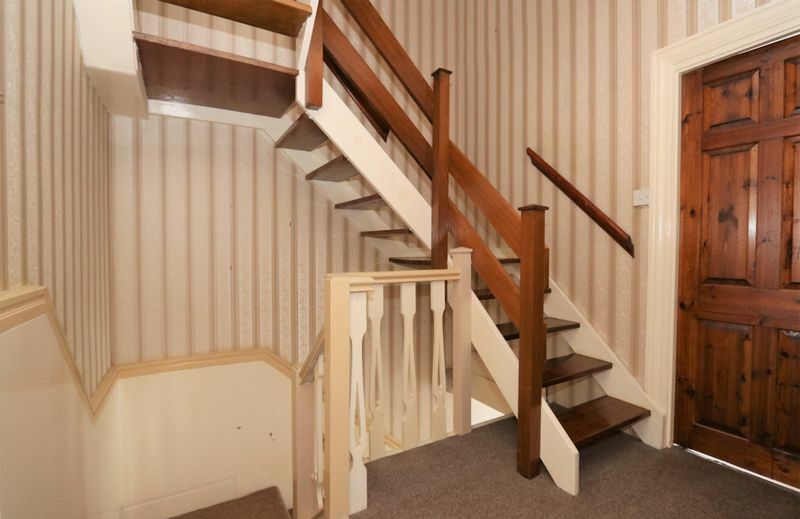 Access to four bedrooms, bathroom, WC and stairs to loft room. Storage cupboards housing Worcester boiler. Carpeted. Stone mullion bay window to front aspect with uPVC double glazed windows. Bespoke wooden built wardrobes to alcoves. 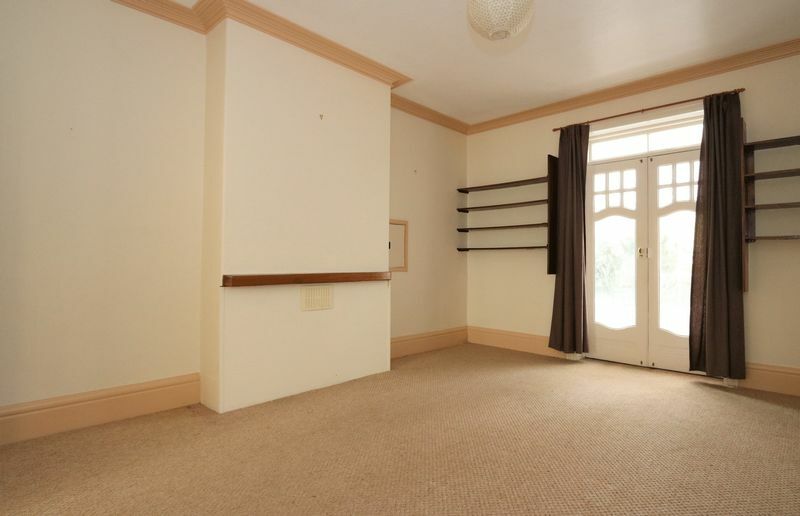 Wooden shelving to wall. Wall mounted radiator. 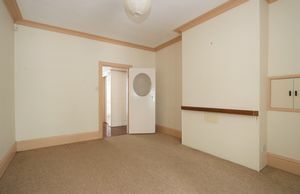 Wooden curtain pelmet. TV aerial. Phone point. Carpeted. Wall mounted radiator. 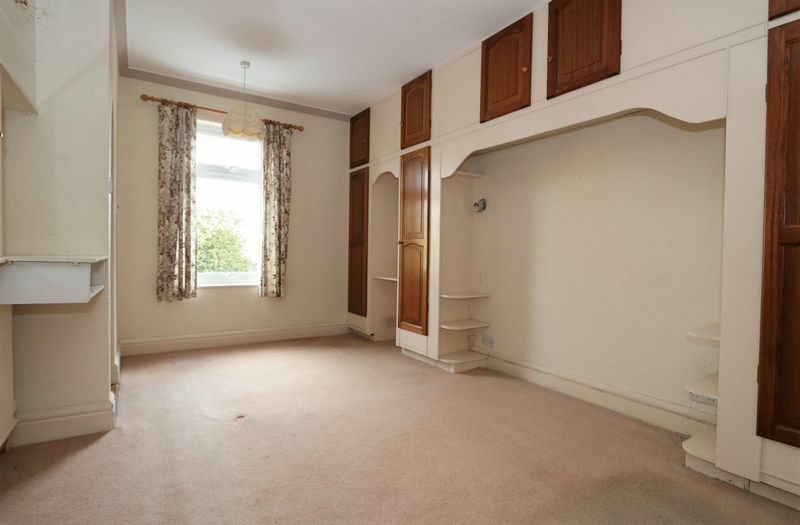 Wooden built-in cupboards, wardrobes and shelving to two walls. 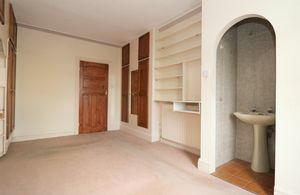 Archway opening onto small shower room with shower cubicle and washbasin. Double glazed uPVC window to rear aspect. Carpeted. Wall mounted radiator. Double glazed uPVC window to rear aspect. 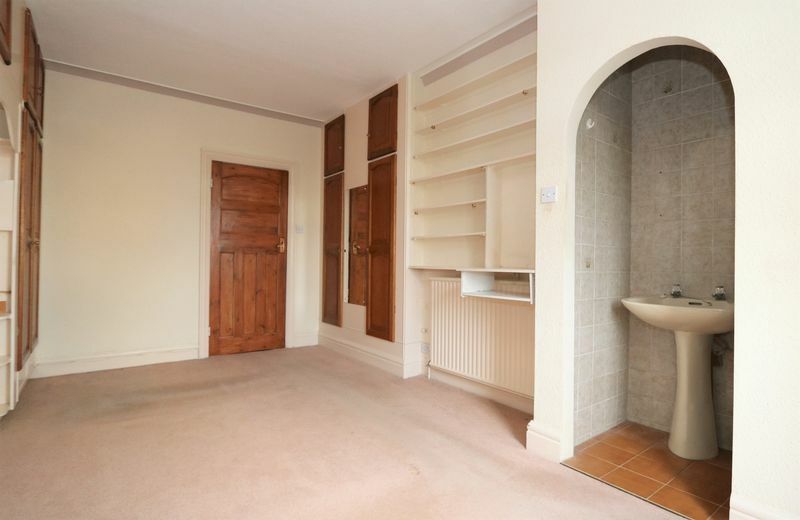 Built-in wardrobe to corner. Carpeted. Wall mounted radiator. Double glazed uPVC window to front aspect. Tiled walls. Double glazed opaque uPVC window to side aspect. Wall mounted radiator and chrome towel rail. Pedestal wash basin. 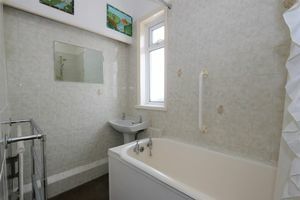 Cast iron bath with wall mounted mains power shower. Low level WC and wall mounted wash basin. Small landing giving access to all three rooms. Carpeted. Wall mounted radiator. Double glazed uPVC dormer window to rear aspect. Carpeted. Wall mounted radiator. Double glazed uPVC dormer window to front aspect. Storage cupboards in eaves. Carpeted. Wall mounted radiator. 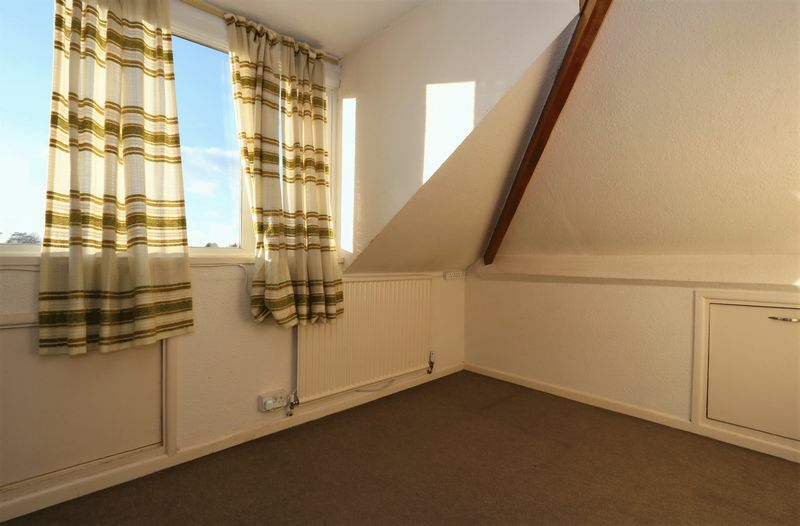 Double glazed uPVC dormer window to side aspect with far reaching views. Shelving on walls. 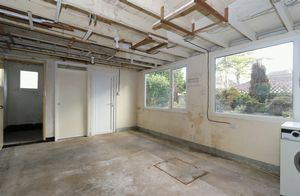 A large space with concrete flooring and up and over electric door. 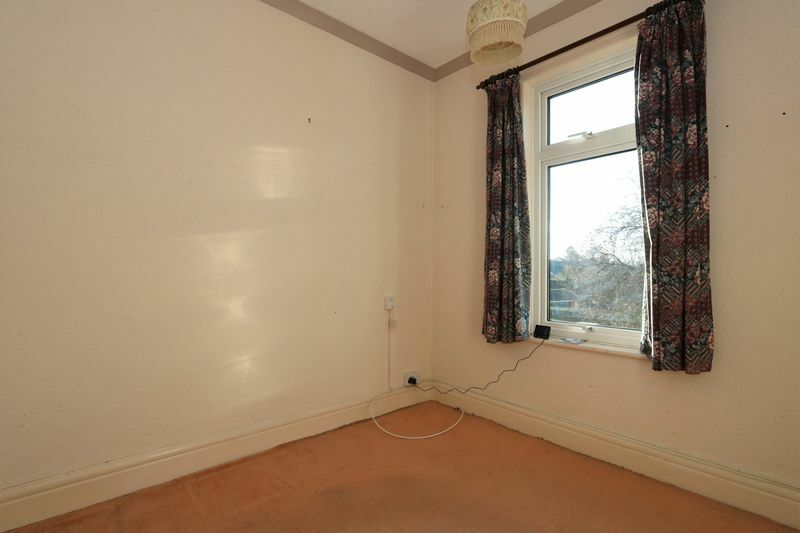 Separate consumer unit and electrical circuit. 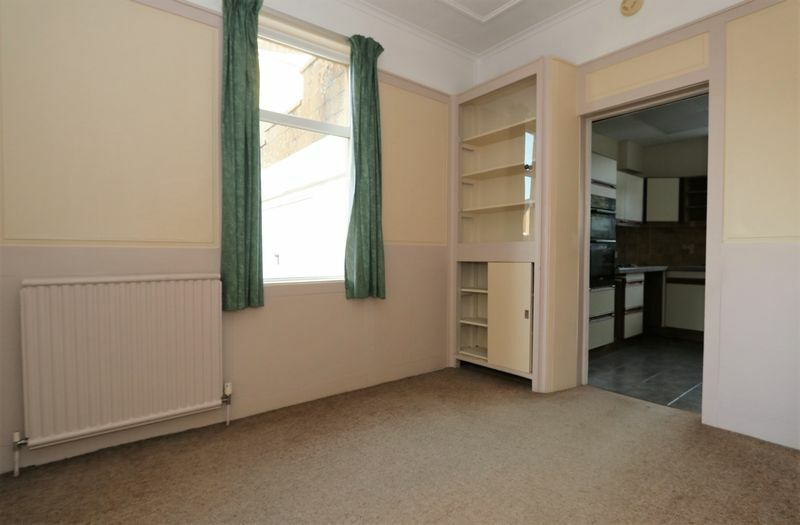 Two storage cupboards. WC. Double glazed uPVC windows to side aspect. Two doors to the garden. Shelving to the walls. Accessed down steps from the rear garden. Concrete walls with lighting and cast iron door. Useful as a wine cellar or storage space. Stone slab patio seating area to the rear of the house. 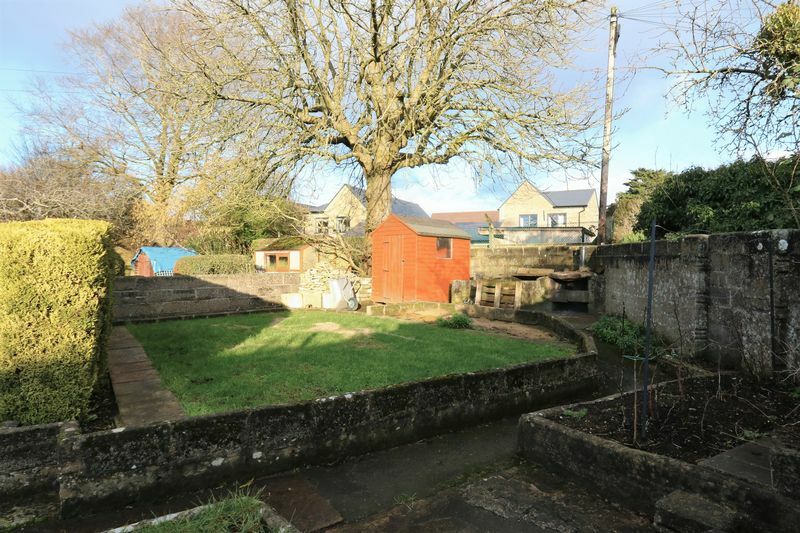 Laid to lawn with stone paths, established raised beds, small trees and shrubs. Three wooden built sheds. Approx 150' in length. Stone paver laid driveway with parking for three vehicles. Low hedge row and small tree to the front.